Grand Unified Themes reaches a new city to host an after-party for the Hereford River Carnival. Grand Unified Themes reaches a new city to host an after-party for the Hereford River Carnival. 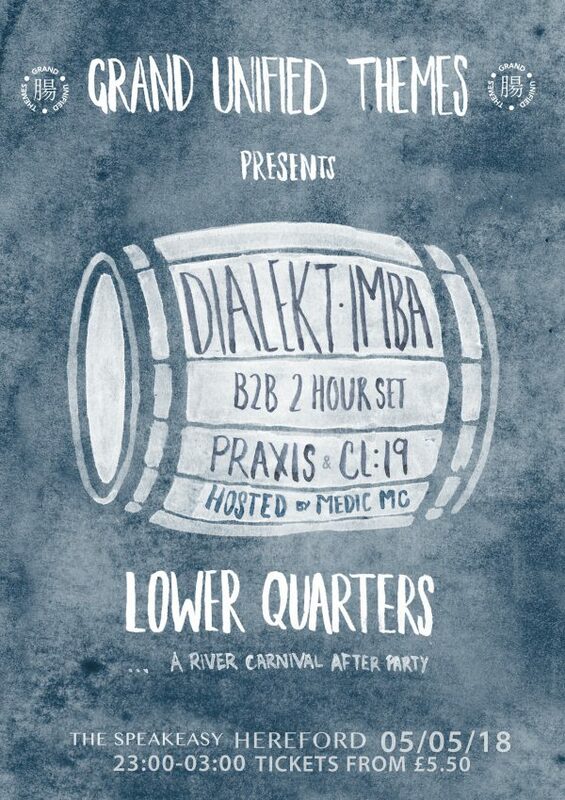 We will be continuing on the colourful carnival vibe into the night, bringing out all of our freshest drum & bass rollers and exciting guest DJs. A collective born out of London under the motto, “if it can be mixed, we’ll mix it”. We focus on expert song selection and seamless mixing, making for an atmospheric set, never forgetting that the crowd is only having as much fun as the performer. A benefit of our collective is that we come from a variety of backgrounds, including: disco, hip-hop, drum & bass, garage and house. In the past, we have hosted a multitude of events from student nights to managing two stages at an arts festival and from intimate basement venues to two nights at the prestigious Lightbox club in Vauxhall, London.